Simon Thibault is a Halifax-based journalist and radio producer whose work focuses on food. 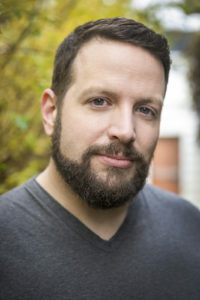 His written work has been featured in The Globe and Mail and East Coast Living. He has contributed to CBC Radio, and The Southern Foodways Alliance’s Gravy podcast. He was also a judge for the 2015 James Beard Foundation’s Cookbook Awards. Thibault’s new book, Pantry and Palate: Remembering and Rediscovering Acadian Food, is a fantastic read – and resource. This expertly written and beautifully produced new title is part cookbook and part history guide exploring the culinary legacy of Canada’s Acadian Diaspora located within the eastern Maritime region. We don’t know enough about Acadian history and food – and I am glad to have the opportunity to learn more, in this book. Acadian food is humble, homey, and comforting, which is what inspired Thibault to highlight the cuisine. It is made with love and devotion from a larder that is small but mighty, and holds history within itself. 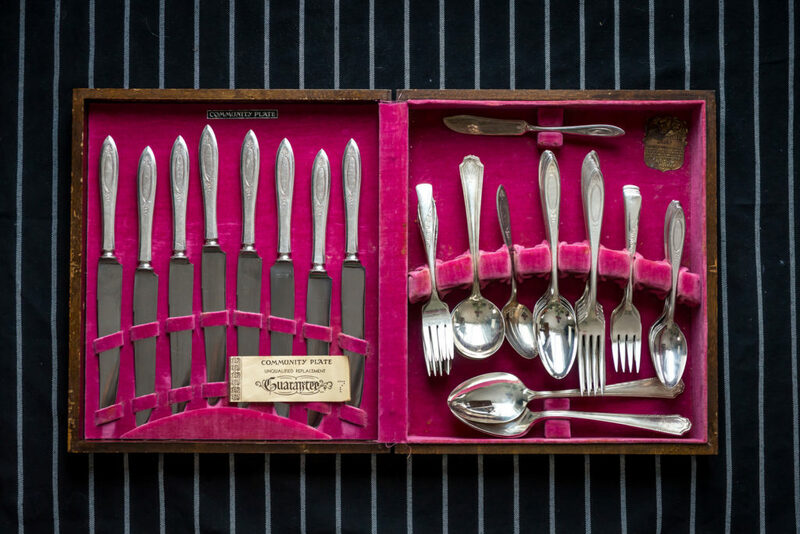 Each recipe is adapted from Thibault’s own family collection or from various women’s auxiliaries within the region – the result is a cookbook of extraordinary value and uniqueness. 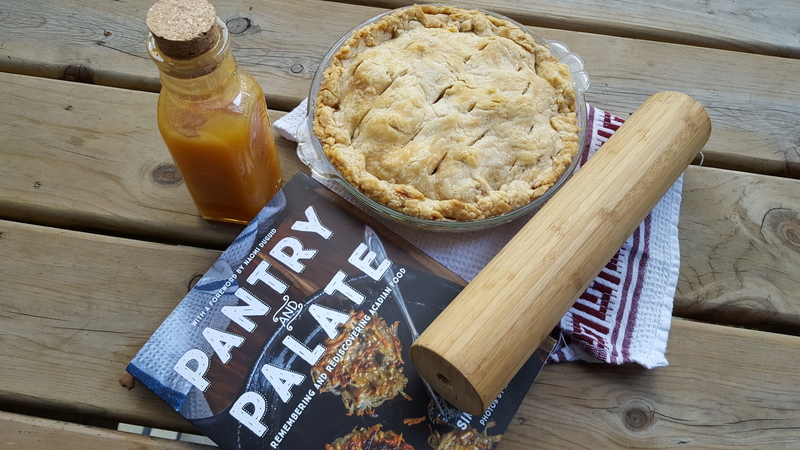 Tip: Make the apple pie (it was the first thing I made from the book!). It’s incredible. I think readers of cookbooks falsely imagine that the authors cook nothing but the food they extoll in their books. I did do so when I was recipe testing. I think I ate more lard and molasses than one perhaps should on a regular basis while living a semi-sedentary lifestyle. But I tend to cook, for lack of a better term, Pan-Asian food at home. I’m lucky that I know farmers here in Nova Scotia who grow a lot of northern Chinese/Korean/Japanese vegetables. So I often will cook extra rice in a rice cooker while I am doing other things, and then will cook the vegetables à la minute. I usually top things off with an egg or two. Eggs. Always. At least a carton and a half. That way the older eggs can be used for boiling, the fresh ones for poaching and frying. Salted onions, which is a condiment from my book. It lends a nice salty/umami kick to soups. For them to chide me when I say, “I screwed this up, this could be better,” when realistically, they are right. it’s usually quite good. I just always have this platonic ideal of a dish in my head, and it doesn’t always happen. But the other person is happy that someone has cooked for them. And cooking for another is something I love to do. If I am in a restaurant, if they are dismissive of staff. As someone who has worked the front of house in various places and times in my life, I find that to be especially heinous. If I am at home, amaro. I am learning to embrace the bitter. And all I need is an ice cube. If I am in a bar where I can see what’s behind the bar in terms of booze, I tend to go for a cocktail. I have to say Naomi Duguid. 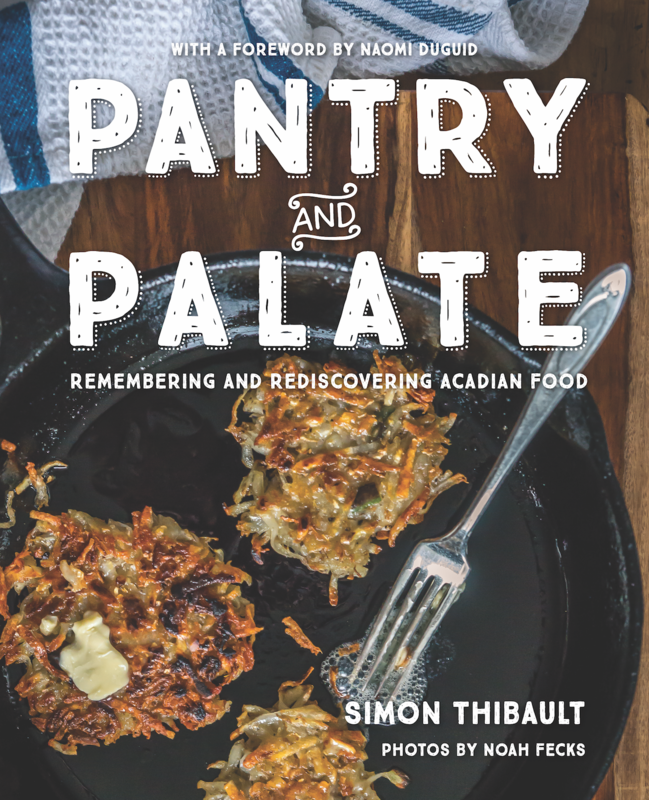 She wrote the foreword to my book, Pantry and Palate: Remembering and Rediscovering Acadian Food, but the books that she wrote with her former partner, Jefferey Alford, taught me how to cook. I am still very grateful that I have gotten to know her. I even cooked an apple cake from her book, Home Baking, today. A food mill. Apple sauce is magical, and the best whipped/mashed potatoes you’ve ever eaten. And they’re very inexpensive. Chinese. Grace Young’s “The Breath Of A Wok” was the beginning of my understanding of how chinese food works from the act of cooking. Grass-fed beef, that has been well-reared. Preferably something like a flank, or a hanger steak. Chinese long beans. The season is short, and you can cook them in a minute or two, or make a variation on the Vietnamese Som Tam, or green papaya salad. Just substitute the long beans cut into pieces and flattened with the side of a knife. The people who work at America’s Test Kitchen, behind the scenes. 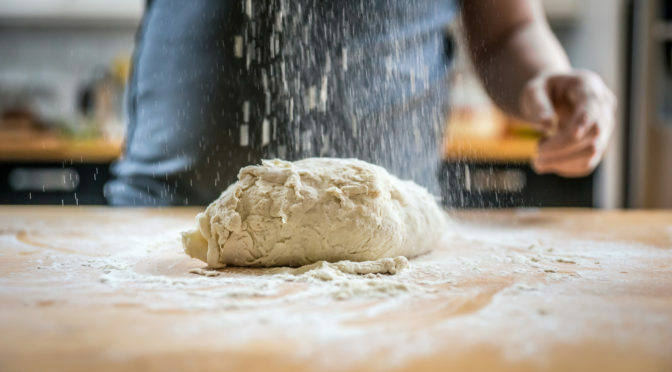 They teach so many people to feel comfortable in kitchens, and answer all the questions you may have when creating a recipe. I admire any chef who thinks it’s important to give people agency in a kitchen. Anything made with flour. I live for carbohydrates, whether sweet or savoury. Although I love Japanese food in so many forms, and I like fermented foods, I can’t wrap my brain around natto. It’s fermented soybeans that have long white mucilaginous tendrils when you pull it apart. I can’t. I can’t stop reading about food. I have a (bad? good?) cookbook habit. I went to Kitchen Arts and Letters in New York City, and walked out $700 poorer. And I practiced restraint in doing so. An apple, in my parent’s orchard. In Halifax, Nova Scotia, where I live, there is a wonderful spot called The Highwayman. Small plates, Basque-inspired cuisine. In New York, I have a love for Gabrielle Hamilton’s Prune. Every. Little. Thing. Is. Thought. Out. From the amount of servers on staff, to the wine list, to the price point, to the friendliness of staff. I went there with my friend Sofia, who is a native New Yorker, and she and I ate like kings and queens. I don’t actually, though I can see why people would assume. If I did, it would probably be of fruit that grows in my parent’s orchard. Peaches for my sister, who passed away and loved them. Apples for my parents, who taught me the value of work. Blueberries for my nieces, who love picking them. And I would be a quince. • Preheat your oven to 375˚F. • Grease a 10×10-inch cake pan, and then dust generously with flour. Alternatively, add greased and floured parchment paper and place into cake pan. together on low speed until completely combined, about 4–5 minutes. • Add the molasses, cinnamon, fresh ginger (if using), and allspice, and mix on low. Make sure to occasionally stop and scrape down the sides of the bowl to ensure all the molasses, lard, and seasonings are blended. • Add the baking soda and salt, then the milk to the batter, and stir until well incorporated. • Pour the batter into the pan, and place into the oven. • Bake for 50 minutes, or until the cake has receded from the edges of the pan and a toothpick placed in the centre comes out clean. Depending on the size of your pan, it may take a bit more or less time. Just keep checking until it comes out nice and clean. • Leave cake in pan for about 20 minutes, and then invert onto a rack. 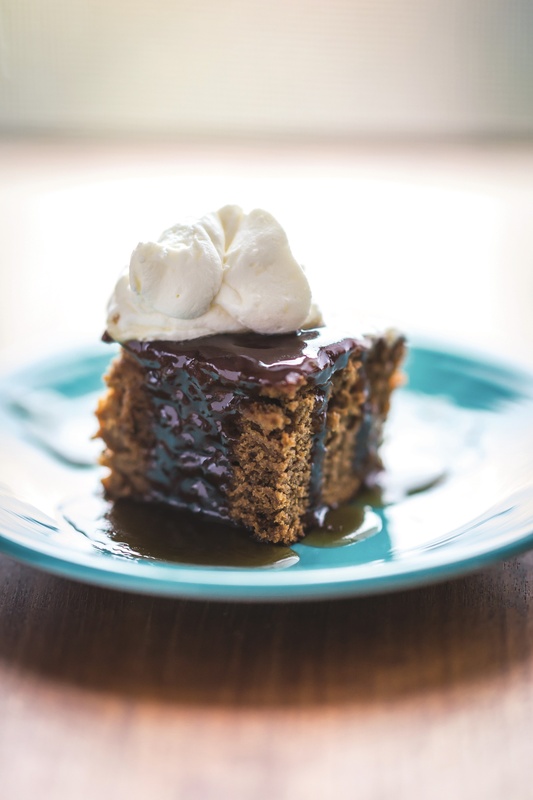 176), Easy Caramel Sauce (page 177), or Brown Sugar Sauce (page 202).